The Riviera Maya is a playground for both kids and adults alike, which means that many of its appeals cater to both demographics. Swimming in cenotes, snorkeling in lagoons, lounging on a family-friendly beach, and exploring Mayan ruins are ace experiences to be sure. Sometimes, however, we need a proper adult time without the pitter-patter, screams, and absurdities that come with the presence of tiny humans. Sometimes, we just want to immerse in experiences that may prove too challenging for them (a grueling yet amazing BODYCOMBAT workout session, perhaps) and later relax with a tropical drink poolside in an adults-only resort. Here are ten adults-catered experiences to consider in the much-desired destination. First thing’s first: one’s choice of hotel can make or break a vacation. Picking an adults-only resort in the Riviera Maya, therefore, is important for a truly adults-only vacation. As the destination has many adults-only resorts, finding options comes easy. It’s choosing the right one that might be tricky. If you’re the type who enjoys the quiet but knows how and when to have a good time, Hard Rock Hotel Riviera Maya’s Heaven is just the ticket. The resort offers several dining options—all without the hassle of making a reservation, protected shallow coves, and even over-water cabanas. Splurge a little and stay in a Deluxe Platinum Sky Terrace category so that along with your balcony hammock, yummy Rock Spa® bath amenities and 24-hour room service, you also get a private rooftop with a sizable hydro spa tub. Extra perks include amazing views of the sunrise. What’s great about the Riviera Maya is there are so many options so that even the most offbeat requests can be entertained. If you are looking for a more Mexican-inspired nightlife, there’s something for you as well. Experiencias Xcaret, the same company that created the famouse Xel-Ha and Xcaret, is giving visitors a perfect way to partake in a Mexican fiesta with Xoximilco. At Xoximilco Cancun, you and friends can party the night away aboard a colorful, bedecked trajinera or a flat-bottomed boat. The trajinera takes you through Cancun’s canals while you enjoy authentic Mexican food, tequila and cerveza as different bands play traditional live music like mariachi, marimba and bolero. The experience takes 3 hours and includes a three-course Mexican dinner, an open bar and games for guaranteed fun. Water sports are essentially a way of life in the Riviera Maya. A vacation here isn’t complete without snorkeling, kayaking, or even swimming in its unbelievably blue waters. 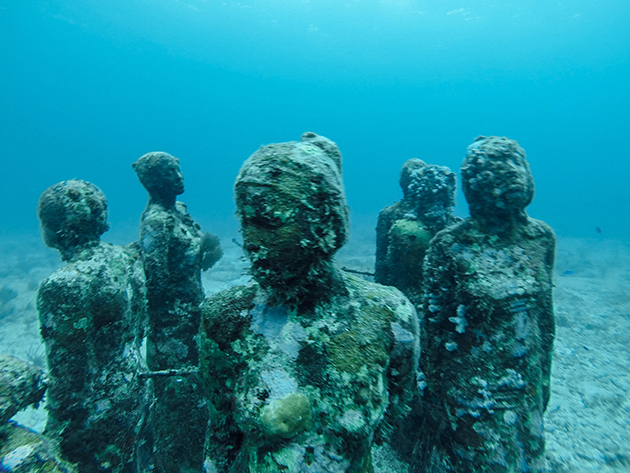 If you are looking for something a little off the beaten path, consider an exploration of the haunting yet incredibly beautiful Cancun Underwater Museum (also Museo Subacuático de Arte or MUSA). Commissioned by the Cancun National Marine Park to replace the natural coral reefs that have been damaged by tourism, the 500 sculptures now serve as shelter to the thousands of fish, crustaceans and other marine life that reside in the park. 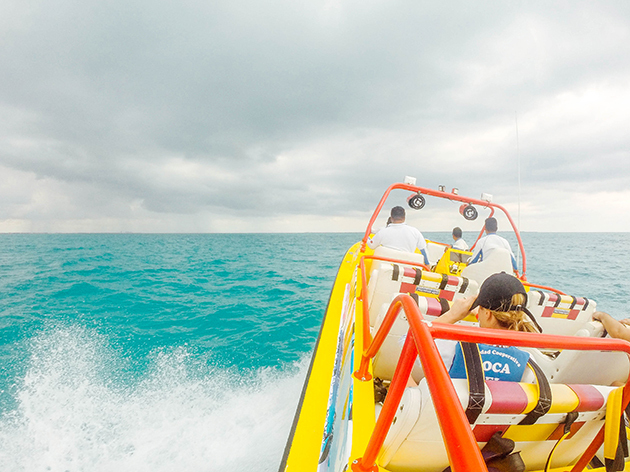 Take Aquaworld’s super affordable snorkeling tour, which takes you on an excursion of the famed Manchones “gallery” near Isla Mujeres aboard an Aquatwister (we’ll get to that in a minute!) plus a quick visit to famous snorkeling spot Farito. The 3 hour and 45-minute tour may welcome kids, but it does require a lot of swimming in the middle of the ocean, making it more adult-friendly. If you’re feeling more adventurous, take their diving tour instead, which does not require a diving certification. Much like its MUSA snorkeling adventure, Aquaworld’s exciting, high speed AquaTwister ride may welcome kids 7 years and older. 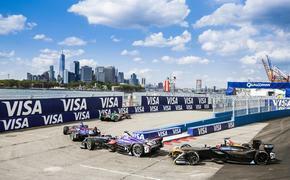 It is, however, definitely geared more towards adults and the adventurous. Not for the faint of heart, the 30-minute ride will take you and 19 other people zipping on water at full speeds with surprise twists, sharp turns and sudden breaks. It’s much like a rollercoaster minus the soaring heights and terrifying drops. It may be daunting at first, but you’ll find that the ride is actually fun, surprisingly cathartic and refreshing (be prepared to get wet!). Remember to set your GoPro on record! Most Riviera Maya visitors spend so much time in the water and the ruins, they tend for forget about the destination’s lush jungles. It’s a shame, as they have just as much to offer. Explore the jungle in a top of the line, two-person ATV with Aventuras Mayas. See monkeys and many birds as you maneuver through about 15 miles of wooded and challenging terrain for 45 minutes. The tour takes you to a cenote, which the Riviera Maya is famous for, and offers a rare glimpse of a Mayan sacrifice. And if that isn’t enough, you’ll also have an opportunity to zipline over the trees and into the cenote, as well as snorkel an underground river. At the end of the tour, you’ll be rewarded with a delicious Mexican feast. A calmer, less adrenaline-inducing boat ride might be in order for those who prefer a more relaxing affair. Luckily, there are several tour companies and boat charters in the Riviera Maya that offer such an option. 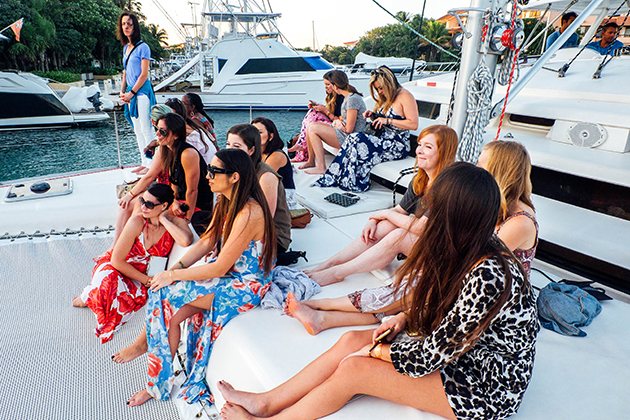 Sail off in a private cruise aboard a catamaran for a snorkeling and paddle boarding adventure whilst indulging in Mexican food and alcoholic beverages from an open bar. Or opt for a more romantic sunset cruise and participate in Mexican wine tasting as you enjoy beautiful views of the setting sun. Vacation may be synonymous with indulgence, but that doesn’t necessarily mean you should let yourself go. After all, it’s very easy to pack on the pounds especially when you’re at an all-inclusive property. Collaborating with fitness empire Les Mills, Hard Rock Hotel Riviera Maya is now offering 14 fitness programs to keep guests fit despite the cornucopia of food and unlimited cocktail refills. These workouts, which launched in October, are created to push you past what you thought was your limit for sure. But they’re also designed to get you moving to the most popular beats, making them super fun and motivating. Build up your strength with BodyPump, keep yourself centered with BodyFlow, and work on your cardio with BodyAttack. A crowd pleaser (and my personal favorite) may be BodyCombat, which mixes kickboxing and cardio with pop music. 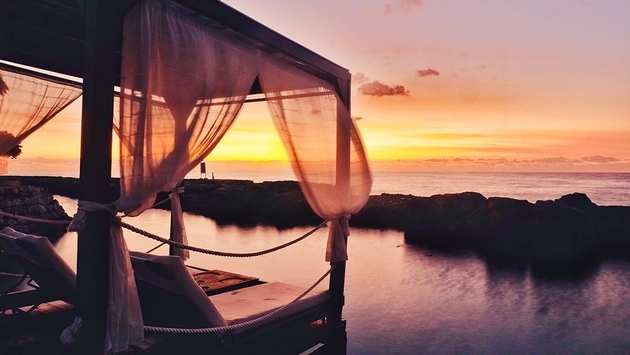 While we’re on the subject, Hard Rock Hotel Riviera Maya offers one of the most extraordinary spa treatments you’ll ever experience in Mexico. The temazcal is not typically offered by most spas, which means it’s something you should sign up for during your stay at the resort. Basically an ancient Mesoamerican steam bath traditionally used for curative purposes, the temazcal is a way to not only sweat out all the toxins in your body. It’s also great for meditation and reconnecting with yourself. 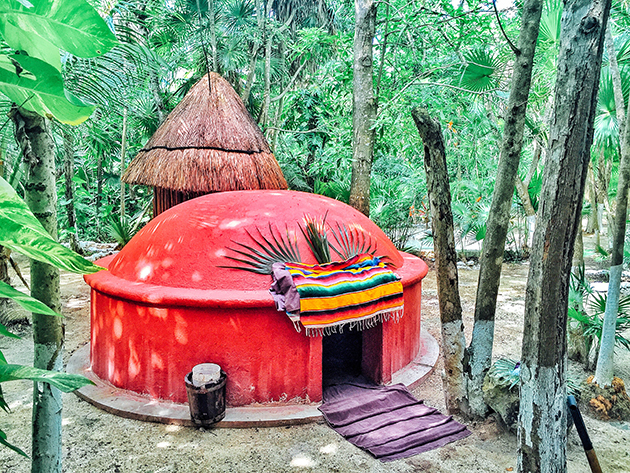 At resort, an experienced shaman will talk about its purpose and give you a Mayan blessing before you walk into an igloo-shaped sweat lodge. Once inside, you will be immerse in an aromatic herbal steam bath in pitch darkness and the shaman will guide you through the rest of the process. Guaranteed, you’ll come out feeling relaxed, rejuvenated and more serene. The nightlife is undeniably a huge part of the Riviera Maya experience. After all, neighboring Cancun is party and spring break central. So while you might not be interested in fleeting club hookups and stumbling out of a bar completely pissed, having drinks with friends, letting loose and dancing might not be such a bad idea. Head to Playacar and bar hop along Avenida 5 where a number of bars and clubs set up shop. Better yet, if you’re staying at Hard Rock Hotel Riviera Maya, head straight to its exclusive Club Heaven, which is a stunner. The alcohol flows like water (tequila shots, anyone? ), and you can dance the night away to popular beats in your very own private booth. 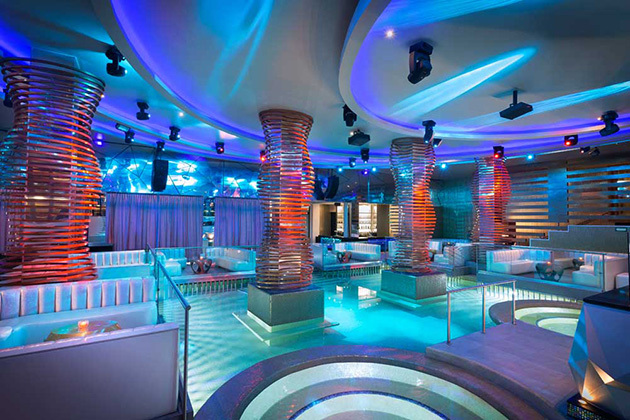 And when you start to feel warm from dancing, take a dip in the sizable pool that sits in the middle of the club. There are two well-lit Jacuzzis, too. When was the last time you went to a club with its very own indoor pool? Even if you’re not a club person, you’ll definitely appreciate this one. With the Riviera Maya’s long stretches of fine sand and year round warm water, it’ll be a shame not to take full advantage of them. Pick any Riviera Maya beach and you’ll find that it’s not just perfect for swimming, sunning, and relaxing with a good book and a refreshing margarita. It’s great for a romantic, candlelit dinner too (or a long table family-style feast with friends). Dress in your Sunday best then kick off your shoes to feel the sand between your toes and the sea breeze in your hair as you wine and dine with your partner or your friends. Many hotels and resorts in the destination offer the experience. But for an even better one, book your dinner with Pavo Real by the Sea, which is set along Maroma Bay whose shoreline is home to one of Mexico’s most exquisite beaches.